The Farm King 3-Point post driver works with your tractor or skid-steer for efficient effortless post driving. 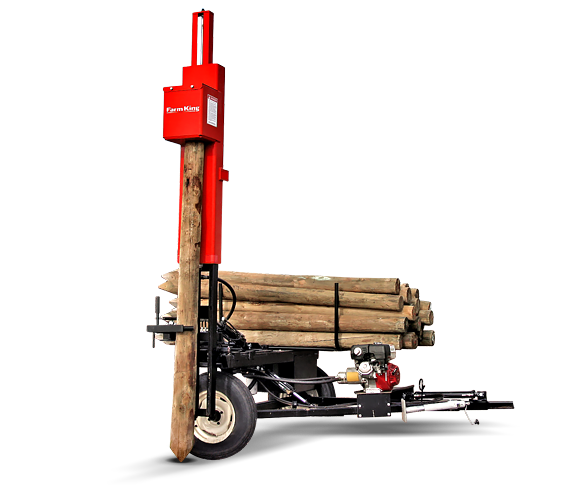 Built to be fast, powerful, durable, and maneuverable, Farm King 3-Point post drivers are ideal for use on the jobsite or on the farm. Farm King 2400 trailered post drivers makes work easy. Available in a PTO or 9hp engine models, Farm King post driver trailers can work with a tractor or behind a pick-up truck. Designed to be maneuverable and durable Farm King post drivers are perfect for farmers, ranchers, and contractors.